When I hear about catchy game music, one game that often pops up is Street Fighter II. This game has the advantage of being played by millions of people around the world and so the music is deeply familiar to many people, but at the same time, the music has its qualities that make it easily recognizable. Here, “Theme of Chun-Li” is a good example to use. All the themes of Street Fighter are designed to illustrate the personality, national identity, and fighting style of the character. Chun-Li, of course, is headstrong confident, and kicks like a deadly dancer, so that and her Chinese background are illustrated in the song. Her theme is recognizable from the four-second opening, with 14 notes played on what seems to be a dulcimer, which plays as the background melody for the first half of the song as something the melody can fall back on. The sequence is also punctuated by jangling bells from percussion (perhaps a street reference?). The combination of easily-recognizable theme using repetition and call-and-response even in this short, four-bar sequence, the unique instrument, and the Chinese pentatonic scale immediately make the tune recognizable while the fast pace aids in its catchiness because there almost isn’t enough time to register the melody. Next, we have the main portion of the theme, which has long, high, bold notes played on a synth flute, with quick bursts of shorter notes. Yet there is a dominant note that is sustained and repeated throughout this segment, playing for over half its 20 seconds or so. This repetition, as well as the high tone, is key to making this piece memorable – the brain can’t help but encode its pattern. After this is another 20 second sequence where the dulcimer takes over the melody, and here the repetition of a single note is replaced by the repetition of short mountains of the scale, rapidly peaking, then dropping – adding variety to the melody. Overall, the layering and variation of melody, repetition of single notes and short sequences of notes, makes the track especially memorable. That being said, not all themes of Chun-Li are created equal. Read the rest of this entry ? Ok, two things about The King of Dragons (1994). “Hard Long” (aka “Treasure in an Old Castle!”) is probably not something you want to title your track for obvious reasons, so my guess is this is a translation error (more like a long, hard battle). Second, the version I picked is from the SNES version of the game over the arcade – I’m not sure who ported it, but this is another fun Yoko Shimomura soundtrack (despite what the ID3 tag says). Anyway, the goal of this game is to fight through a fantasy countryside to get to the giant Red Dragon at the top of the mountain and kill him. A good, solid show. “Hard Long” has some nice liquid midi trumpets supported by bells and driven forward by a steady drum beat – that classic Capcom sound found in Mega Man, especially Mega Man 7 (though oddly enough, the drum sets and organs sound like they would belong in Castlevania). The track plays in “an old castle”, and so the trumpets playing in minor key with piano give a sense of nostalgia and the past amidst this dilapidated ruin, but also the heroic determination you’d expect from knights and wizards fighting their way past orcs. Many of the compositions in here are just begging for some remixes, but I haven’t been able to track any down. The original arcade version was printed on Captain Commando -G.S.M. 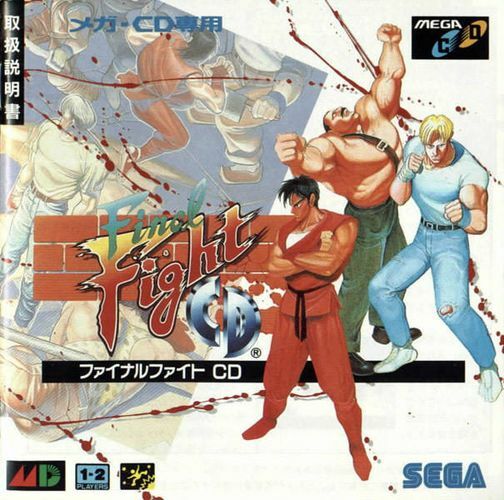 Capcom 5- (1991). The SNES version sounds a bit better than the arcade version, mainly due to its cleaner instruments. Don’t get me wrong – the arcade version has some fantastic sound samples for the time, but the small storage meant they had to be compressed and so have a kind of grating or staticky sound to them, like they’re coming from a well. Some of Shimomura’s drum samples and cymbal crashes (particularly for “Main Theme”) are stunning, and the sound effects are amazing (Capcom was nice and put tracks on their albums containing all the sfx from their games along with the music). But I prefer the SNES’s cleaner sound to that of the arcade. Honestly, I didn’t know Yoko Shimomura composed this soundtrack. My connection with the game has been through my cousin, who brought the SNES version over each time he visited. 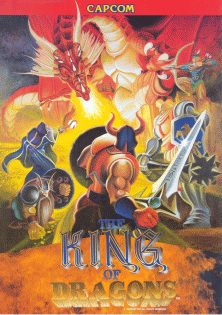 King of Dragons is a combination of beat ’em up and RPG – the more you fight, the stronger your characters get, and you pick up new weapons and armor at the end of each stage. In some ways, it’s a bit like Magic Sword. The game was a blast to play, with the campy monsters (ninjas in Dungeons and Dragons?) and difficulty that spawned all kinds of inside jokes. Of course, the kicker is the level up and new life SFX – “WOOAAAH!” Best warrior cry ever. There are so many different game endings to choose from, that it’s a little hard to pick which one to use. For a change, I decided to pick the tune to one of my favorite game endings. Role Playing Games are well known for their stories (which often times are a bit overrated), and as such, they tend to have more impressive endings. One of the ones I remember most is the ending to Super Mario RPG: Legend of the Seven Stars (1996), Squaresoft’s swan song for the SNES. The whole sequence lasts about 13 minutes, with a cutscene showing everyone rebuilding the Mushroom Kingdom followed by a parade! Actually, that’s one of the neatest ways to end a cute game like this, showing a parade of all the characters. So here is the video of the ending as well as a copy of the MP3 of “Happy Parade, Delightful Parade/And the Parade Draws to a Close” by Yoko Shimomura (Final Fight, Parasite Eve). (You know, I think this is one of the longest track titles I’ve run into). Now it’s fun to listen to the track by itself and treat it as a musical piece completely removed from the imagery, so if you haven’t seen the ending before, I suggest giving just the song a listen first! Pay special attention to the harpsichord, cymbal crashes, and variations of the theme as you listen. Now there are some interesting elements to this ending theme that also make their way into many other game ending soundtracks. One of these is the leitmotif, a variation of the main melody that is flavored to include elements of the themes of each main character. This way, as that character appears on-screen, his or her song plays in accompaniment (such as a heavier harpsichord version when Valentina appears being carried by her giant bird). The result is the ending acts as a kind of flash-back of all the events that occurred in the game and a snapshot of all the characters the player has encountered, with both the cartoons and the music reflecting their characters. Of course, the theme also changes depending on what is happening on-screen, Read the rest of this entry ? This song is made of pure awesome. It’s solid American rock with some serious drums and a strong synth backup. This was the early ’90s when arcades were still popular and chock full of kung fu fighters playing Street Fighter II, which pretty much created the fighting game genre, and “Made in USA (Ken Stage)” does a great job of capturing that feel of quarter-popping, slushies, and roller rinks. The song is the theme of Ken Masters, one of the main characters from the game, and so “Ken’s Theme” is pretty recognizable due to the popularity of the series as well as its excellent composition. 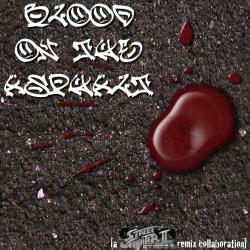 “Made in USA” is a Super Street Fighter II remix from the OverClocked ReMix album, Blood on the Asphalt – A Super Street Fighter 2 Turbo ReMix Collaboration (*whew!*). The original Street Fighter II (1991) soundtrack was composed by the amazing Yoko Shimomura, whose works include Parasite Eve, Legend of Mana, and Kingdom Hearts. A funny thing about the album was it was later picked up by Capcom as the soundtrack for Super Street Fighter II Turbo HD Remix (2007) for XBox Live Arcade, making it the first fan-created soundtrack to be used in a commercial videogame. You can listen to the original soundtrack on the album site while the game soundtrack is available on the OCR torrent page. Shimomura is the second female composer to be featured on a Daily (the first being Michiru Yamane). Read the rest of this entry ?